The White Nebula, a storm composed of stardust that freezes every living being on its path, is coming back to the stellar systems. As of last year, it announces a hard period for the local population, but an opportunity for brave captains. Scientists have in fact discovered interesting properties from the Nebula Stardust and are ready to pay a high price for this valuable resource. Equip your warmest coat and get yourself ready to face the White Nebula! Through this, one-month event, collect Stardust boxes while playing. Earn your prestigious “Stardust Prospector” title and trade your boxes at the in-game Winter fair to unlock up to 5 cheerful spaceships: Santalibur, Wall-Xmas, Bauble, Krampus, Zel’Grinch. We’ve decorated the map for the occasion, discover it on Saturday, December 1st! We’re eager to see you playing with some of the White Nebula skins for your motherships! We hope you’ll enjoy this winter event as much as we do! AMBRO CUP #5 – Online tournament registration is open! Now that you master the official version of the game, it’s time to participate in a tournament to fight each other! 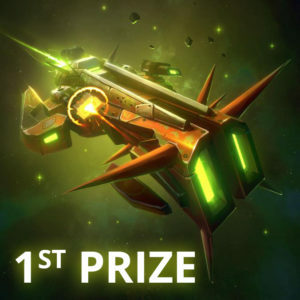 That’s the chance to challenge your strategies with other players ; and to win a Nexium bonus and outstanding mothership skins! In this tournament, all participants will win a Nexium (NXC) bonus! This is our way of announcing the launch of our new online gaming store in December. There, you’ll be able to trade your Nexium for cosmetic items, such as outstanding spaceships skins or avatars. You’ll be the first to test it! ▶️ If you’re new to the game watch this short gameplay video to learn the basics of Beyond the void. Then, you’ll be ready for the upcoming tournament, we’re sure of it! How to join the Tournament? Enter the esport platform Toornament and select the tournament called: Ambro Cup#5 – Beyond the void online tournament. While you’re playing your games during the tournament, don’t forget to record or stream your games (if you can’t, take a screenshot of your victory/defeat screen). Then share them on the Community Hub on Steam. ▶️ How to watch the tournament? For all participants* : 120 NXC + 0,005 ETH (about 3€). Just what need to buy your first avatar on the shop! 3rd : 244 NXC + 0,005 ETH (about 5€). 1st : 431 NXC + 0,005 ETH + « Junkalibur » skin (about16€). Wow, that’s more than you need to buy a rare skin for your mothership! 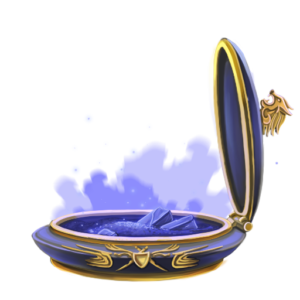 Nexium (NXC) token is used in our online store to buy cosmetics items like outstanding spaceship skins or avatars. Ether (ETH) token is used to pay transaction fees in the shop. As soon as it’s ready, we’ll contact you via Discord, to give you the link to our refreshed gaming store. You’ll be the first ones to use it! There, you’ll be able to create (or recover) your Nexarium wallet to collect your rewards (Nexium and/or skins). Check the tournaments page to discover the name of the last warlords and watch videos from their stunning games in the last tournaments. See you very soon on the EU servers Captains! 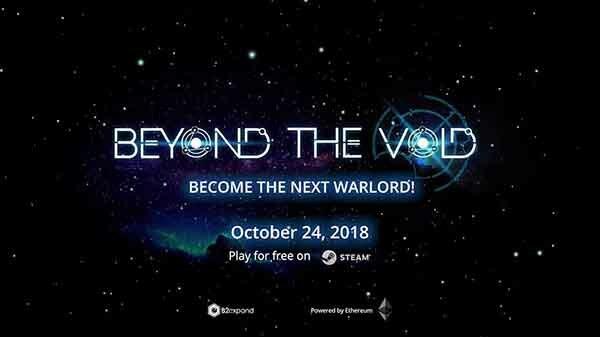 Official Beyond the Void Launch party on October 24th, 2018! 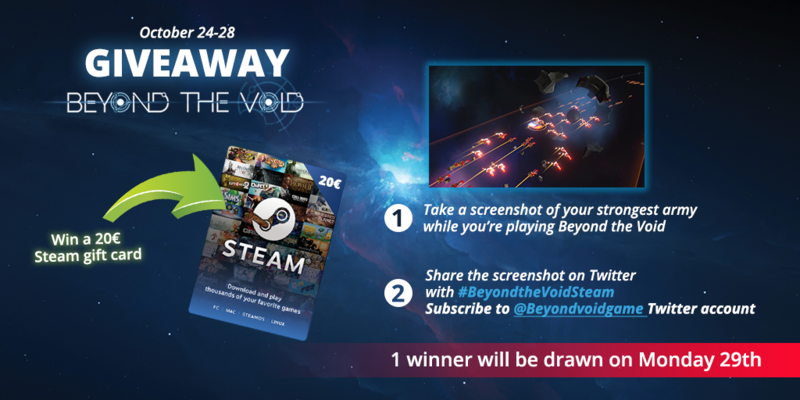 It was a pleasure to share with you the official launch of Beyond the Void on Steam, on October 24, 2018! No matter if you live in Lyon, in France, or if you live in other corners of the galaxy, you were there with us all night! 🎂 Over the past two years, you have contributed to the development of Beyond the Void and we are proud to count you amongst our Intergalactic Captains. Your support has been very valuable. After one year of early access, this hybrid MOBA/RTS game has officially taken its place among the Steam games. It is an achievement for us to see this project coming out to light. That is why we’ve been honored to share this moment with you! You had the chance to challenge our dev team live on Twitch from 7pm to 10pm! 🥁🥁 And the lucky winner drawn on Twitter is 🥁🥁 @OVEgnos, Congratulations! 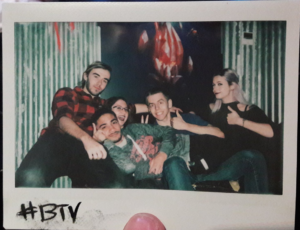 There were many of you joining us on October 24th from 7pm to 10pm at the Meltdown gaming bar in Lyon! Here was the planning of the party on the Facebook event (in French). It was a great opportunity to meet our studio team and challenge us on our own game. There was even a game contest on site for a chance to win goodies and drinks! J’ai un nouveau tapis de souris du coup 😎😎 ! Have you met our special guest « Seigneur Necron » at the launch party night? He is one of our earliest fans. Seigneur Necron supported us through thick and thin from the early days and has played in many tournaments. 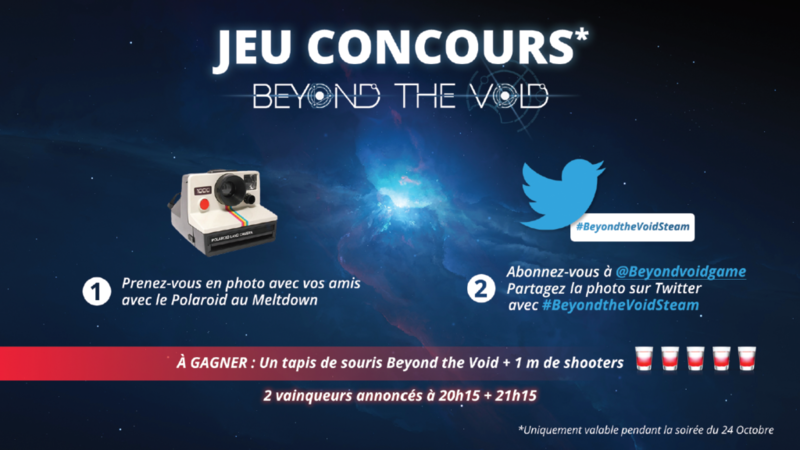 By the way, he is the winner of the most recent tournament on Beyond the void! Seigneur Necron traveled all the way from the northern part of France to be with us and launch the game together, it was a very special day. The day after the launch, we gave him a tour of our studio B2Expand where he met the whole team. He also got a glimpse of the projects we’re working on (to be announced real soon!). We hope to have more days like this! 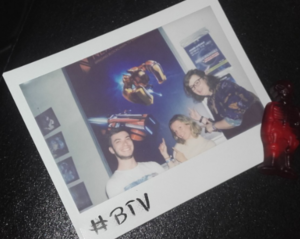 Beyond the Void launch party pics revealed! 📸 It’s been already two weeks since the launch party. We had a blast and we feel a bit of withdrawal syndrome. Here are some pictures of the launch party night in the Meltdown! Take a tour on our Facebook album. 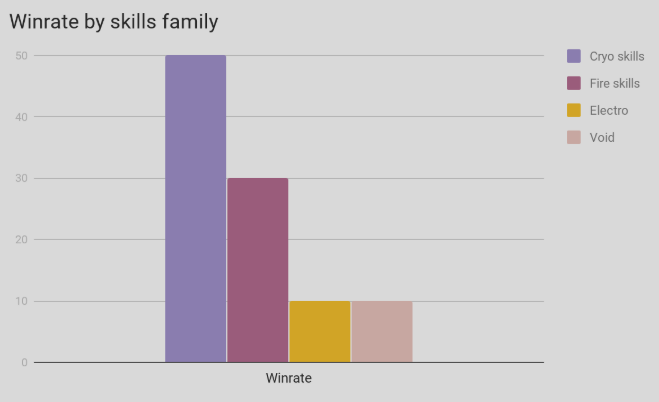 50% of you win with Cryo skills family; Fire skills is in the second position. Thanks again to those who made it to the party venue, in Lyon. It was really cool to meet up with Beyond the Void fans IRL and share a drink. Thank you if you joined us online and challenged the dev team in a game. You nailed it! Discover the launch teaser for the release on October 24th!! Brand-New Hybrid Strategy Game MOBA-RTS in space: Beyond the Void. Coming officialy on Steam on October 24th. Beyond the Void is a one versus one competitive arena battle combining popular MOBA mechanics with classic real-time strategy (RTS) elements. This unique hybrid strategy game takes place in a sci-fi universe at the fringe of the galaxy, where a war for resources is raging. Beyond the Void is a free to play PC game that fuses strategy, action, and competition into a unique 1 vs 1 battle. It takes the MOBA genre back to its RTS origins with epic space warfare. Beyond the Void’s inspiration comes from great science fiction classics, such as 7 Metabarons (Jodorowsky) and Dune (Frank Herbert), while adding a touch of fantasy from similar to League of Legends, Starcraft 2, and Warhammer 40k. capabilities, anticipating enemy movement, optimizing the allocation of resources, and reacting to the opponent’s actions make it a true hybrid strategy game. In general I’m not a fan of MOBAs… well, I like the principle, but it always ends up being burdensome because it’s in 5v5 and the chat often turns into a salt pool. In this game we don’t have that problem because it’s 1v1. If I lose, it’s only my fault, and my mistakes only make me lose. And it’s not just a MOBA, there’s a RTS side and that’s cool because it’s one of my favorite game styles! And besides, it’s in space! The battlefield is organized around the conquest of neutral planets, the construction of new bases, and the technology choices of planetary strategy, as in most RTS games. 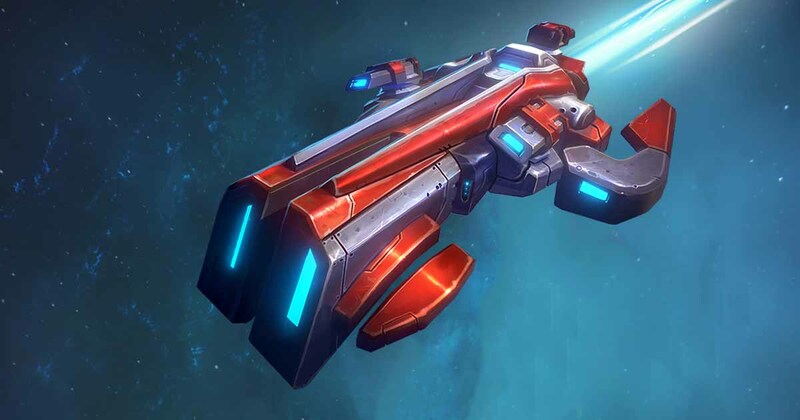 However, it is the fight between the two motherships that controls these technological bonuses and defends the front line which we’ve inherited from MOBAs. In addition to the unique gameplay with these spaceships, players can draft additional capabilities to favor their own strategy or try to counter their opponent. Games are multiplayer, online, and last around 10 minutes when played against another person. 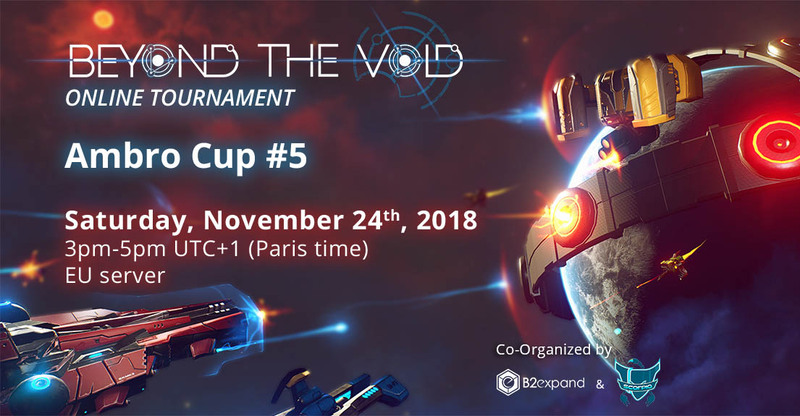 Beyond the Void also offers training against the AI, participation in ranked matchmaking, and online community tournaments. 👋 Stay tuned on our social media to get the last news!! AmbroCup#4 online tournament, it’s battle time! Registration for the AmbroCup#4 online tournament on Beyond the Void game opens on August 29th. You can now register for the next online tournament on Beyond the Void game. As you may know, it’s a F2P hybrid strategy game in space, with moba and rts mechanics in 1vs1. Become the new Captain who’ll dominate the galaxy! The AmbroCup is a monthly online tournament on Beyond the Void. The Ambro Cup #4 is organized in partnership with Toornament and Scorpia. 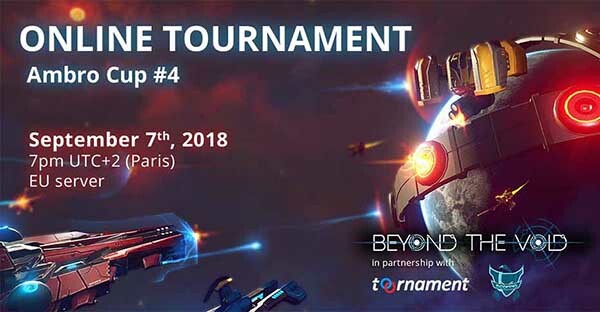 You can register directly on Beyond the Void Toornament page, HERE, and find more details about the rules of the tournament. How to play a game? Pick a spaceship, draft your skills, build rings, conquer neutral planets, place marks on the enemy, manage your planets strategy. How to play with Fusion and Excalibur motherships? How to play with Wall-K2 and Zel’Hactl motherships? To take part in those Training Sessions, and ask any questions about the game or just chat with us ^^ , join the BTV Official Discord server. Just for this occasion all skills will be unlocked in the skills collection (no more need of Battle Points to unlock them). Try them all from August 29th until the day of the tournament! You’ll have the opportunity to design new strategies and play them during the tournament. Our game designer is also eager to hear your feedbacks to balance the skills before the official release on October 2018. Enjoy! Players will be ready to design their own strategy to challenge new opponents online on Friday, September 7th, at 7 PM (UTC +2, Paris). 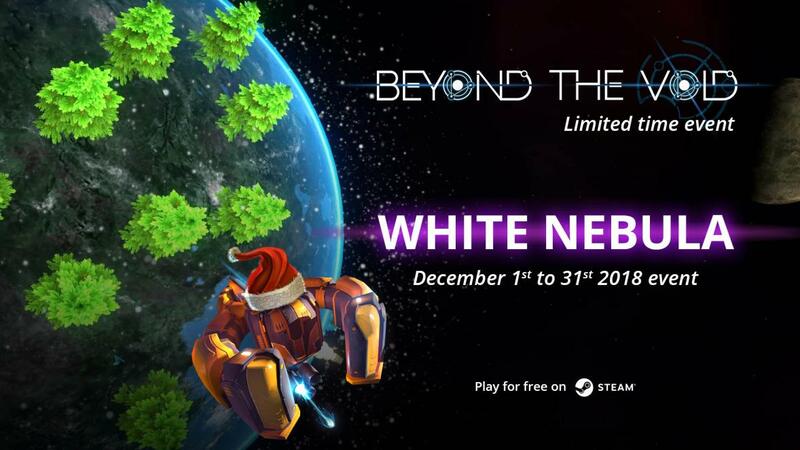 Remember that Beyond the Void is a Free To Play game available in early access on steam, so feel free to get your friends involved : Play for free now! For Archbaron Trexar, the bombing of Glavos began as just another step on his path to glory; it ended, though, with him claiming his greatest weapon. Of all the subjects in Trexar’s barony, the citizens of the tiny planet Glavos had the greatest skill in mining and crafting ambrosium into weapons of war. The archbaron, raised on ancient legends and histories, dreamed of expanding his territory to claim all the systems that laid on the rim of galactic civilization, and from them forging an empire that would be remembered for generations. The loyalty of Glavos’ weaponsmiths had, so far, been integral to his vision; it was their craftsmanship and the planet’s rich supply of ambrosium that fueled his conquests. But, of all the weapons that could be wielded against the baron, treachery was the one that cut deepest, and when word reached him that his subjects on Glavos planned to turn his own weapons against him and rebel, his wrath was swift. His war fleet appeared above Glavos’ capital city without warning, and the very weapons the planet’s citizens had made now rained destruction down upon them. The orbital bombardment lasted for days, and Trexar stoically watched the city burn from the command deck of his flagship. The citizens mounted a feeble defense, launching a handful of starships, but none could stand before the archbaron. When the flames had finally ceased days later, Archbaron Trexar was the first of his forces to set foot on the city’s ruined surface. The destruction was massive, yes, but factories could be replaced – ambrosium could not. And, more importantly to Trexar, the show of force ensured the obedience of the remaining Glavos citizens. And it was only through the obedience of others that Trexar could forge his new empire. While the planet’s smaller, remaining factories resumed arming Trexar’s forces, his troops sifted through the wreckage of what was the greatest of Glavos’ ship docks. In an underground bunker, miraculously undamaged, was a ship unlike any Trexar had seen before. Powered by a unique ambrosium fusion reactor, the cruiser could generate an aura capable of empowering nearby ships, but most fearsome was its ability to catalyze ambrosium into a destructive beam capable of cutting through anything in its path. If the baron’s attack had not been so swift, it’s possible this ship might have been launched against him, perhaps turning the tide of the fight, or worse, being annihilated before Trexar could claim it. The baron saw it as a final gift from the people of Glavos, and one befitting his coming role as an emperor. He named the ship “Excalibur,” taking its name from an old tale from a long-forgotten planet, a tale of a divine sword gifted to a legendary king to smite the enemies of his realm. And just like in the stories of old, Excalibur would be Trexar’s weapon to cut through his foes and build his own kingdom, one that would be remembered forever. Rebels have made some unique modifications to this Excalibur unit thanks to stolen technology straight from Archbaron Trexar’s personal collection. They built a fossil-fueled war machine for the most advanced space warriors. Patch 0.6.2 is live and we brought some gameplay changes before this week end tournament! All abilities cost no more Ambrosium. Fire spear: Damage scale by 18 points per mothership’s level instead of 22. Cryo Scud: We reworked the formula to calculate damage so that it deals more damage only if almost all rockets hit the enemy. 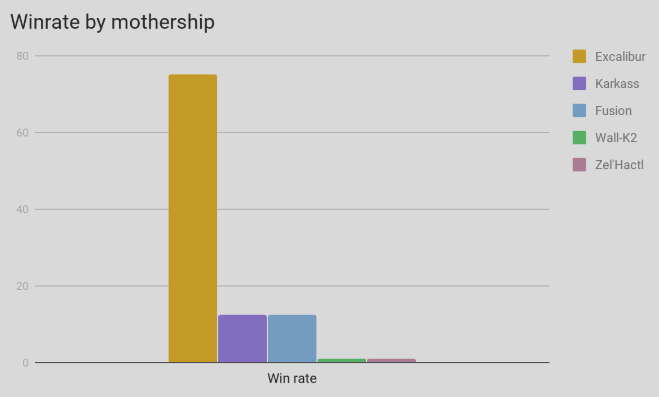 Damage on mothership are decreased by 20%. Aim is to make this ability an ability to clean your lane. Ice storm: it now applies only one mark per use. Damage decreased from 25 to 20 and scale by 8 points per mothership’s level instead of 12. Ambro shield (Industrial + Engineering rings combination): Range radius has been reduced to 150. When you cancel an ability it now disable the aura for 16seconds. There is a small issue with the visual effects if you disable the aura when it’s in stand by. Ultimate Defense (2 Engineering rings combination): skills hitting the enemy’s mothership grant a 150 bonus shield. It lasts for 1.5 seconds and each succesful skill extends the duration by 1.5seconds. Lobby interface and menus have been reworked. Loading screen and draft session interface will change in next patch. If you win or lose when your spaceship is destroyed, the « death interface » is removed spo that you can see the win / lose screen. Spectator mode has been fixed. An appropriate interface will be implemented before the release. Wall-K2 is now targetable with Fusion’s ultimate. are now automatically switched off when your mothership is destroyed. Before you weren’t able to switch them off. In previous version you were loosing 100% of the bonus you collected with an aura when you were destroyed. It has been fixed, you now lose 50% of your bonuses. Thanks for reading and have a good training… beyond the void! Don’t forget to join us on discord! There are two tournaments in april. 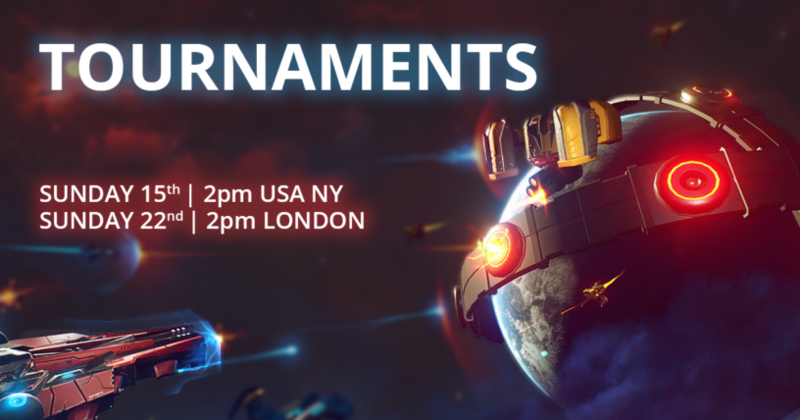 This tournament takes place on Sunday 15th and starts at 2pm (New York). Registration are up on toornament. Global final will take place when both tournaments are finished. Check-ins take place on Beyond the Void official discord server. Finally the patch 0.5.0 is live! See what new content has been released below! Default binds are on keys 1-2-3-4-5. Several identical combinations raise the rank of the ability and therefore its strength. All these abilities cost Ambrosium, and some of them introduce a new concept: auras. Auras are abilities you can enable and disable. When activated auras cost Ambrosium overtime until you disable them. Building the same combination of two rings on multiple planets will improve the bonus effects of the combination. Remember that combinations of Rings now take into account the build order. First Industrial Ring: Effects how you can deploy abilities, focused on the mid-game. Ambro-Turbine (Combo skill). The next skill used within the next 3 seconds reduces its cooldown by 50%. Costs 100 Ambrosiums and has a cooldown of four seconds. Adds +1 ability rank gives you one more charge. Costs 30 Ambrosium per second when active and has a four seconds cooldown. Adds +1 ability rank increases the chance of applying an additionnal mark by another 10%. Ambro-Bouclier (Combo skill). The next skill that hits the enemy’s mothership provides you a 250 shield points bonus. Costs 150 Ambrosium and has a 30 seconds cooldown. Adds +1 ability rank increases the shield bonus amount by 250. First Military Ring: Calls upon nearby spaceships, focused on impacting the early-game. Gunners (Temporary guardians). Calls upon three gunners that stay with your mothership for 10 seconds. Costs 150 ambrosiums and has a 30 seconds cooldown. Adds +1 ability rank gives you one additionnal charge. Leviathan (Guardian). Calls upon a Leviathan that stays with your mothership until it is destroyed. Adds +1 ability rank upgrades the Leviathan characteristics and gives you one additionnal charge. Infernal Booster (Guardian). Calls upon a spaceship that boosts other spaceships (+5 damage // reduces incoming damage by two), stays with your mothership until it is destroyed. First Engineering Ring: Improves your mothership, focused on impacting the late game. Recycling (long duration buff). Aura that improves the hull each time you destroy an enemy spaceship (+5 hull points per destroyed enemy spaceship). Costs 5 Ambrosium per second and has a 2 second cooldown duration. Adds +1 ability rank increases the bonus by +5 hull points per destroyed spaceship. Kinetic energy (long duration buff). Aura that improves the shield each time you received 1000 damage points (+1% max shield and +0.1% regeneration per 1000 damage taken). Costs 5 Ambrosium per second and has a 2 seconds cooldown duration. Adds +1 ability rank increases the bonuses respectivily by +1% and +0.1%. 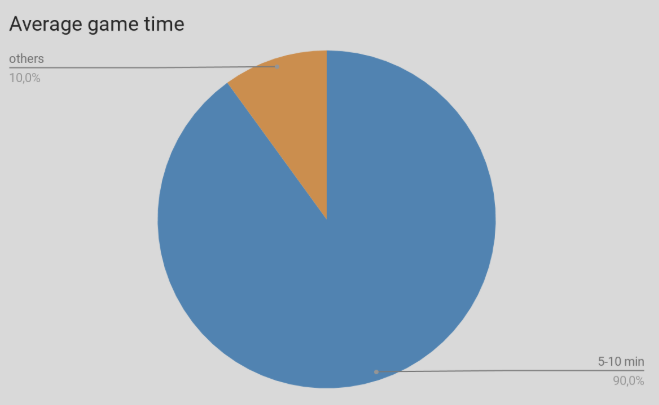 Last defense (long duration buff). Aura that cancel enemy’s abilities and that increases your attack damage each time you cancel an ability (+5 attack damage per canceled skill). Costs 15 Ambrosium per second and has a 2 seconds cooldown duration. Adds +1 ability rank increases the bonus by +5 damage points per canceled skill. Each planet owned by the player has a linked strategy among three: combat, economic and defense. Strategies are unlocked after the building of the first ring of a planet. This first ring defines the initial planetary strategy. You can now change strategy at any time with a cooldown of 20 seconds before being able to change it. A shortcut allows you to change your planetary strategy quickly. Each strategy now gives you bonuses according to the rings built on the planet. Combat strategy: Adds new units for the lane. Each ring replaces a fighter with a special unit. Industrial ring: Mercenary spaceship. Stronger against snipers. Engineering ring: Sentinel spaceship. Stronger against mercenaries. Economic strategy: Allows your rings to generate ambrosium. Each ring grants a different method of gathering. Industrial ring: produces Harvesters that mines Ambrosium on the asteroid belt. Military ring: gives you a bounty for each destroyed enemy spaceship. Engineering ring: produces Recyclers that recycle wrecks on the lane. Defense strategy: The planet is protected by a shield, reducing damage taken by 50%. Each ring grants a passive bonus. Industrial ring: +2 Ambrosium per second. Military ring: the mothership gains one attack drone, which increases your damage per second. Engineering ring: +15 experience points per second. Basic tutorial has been reworked. It is now shorter and easier. Advanced tutorial is now available. Learn in it how to build rings and understand planetary strategy. In-Game user interface has been completely reworked and fits with gameplay changes. You’ll now gain experience points at the end of every match. Every time you level up you’ll receive extra Battle Points! Unlock new titles by levelling up! Normal more reactivated – practice without alternating your rank! 3rd abilities (utilitary) now cost 15 Ambrosium per use. We hope you’ll like all these changes! 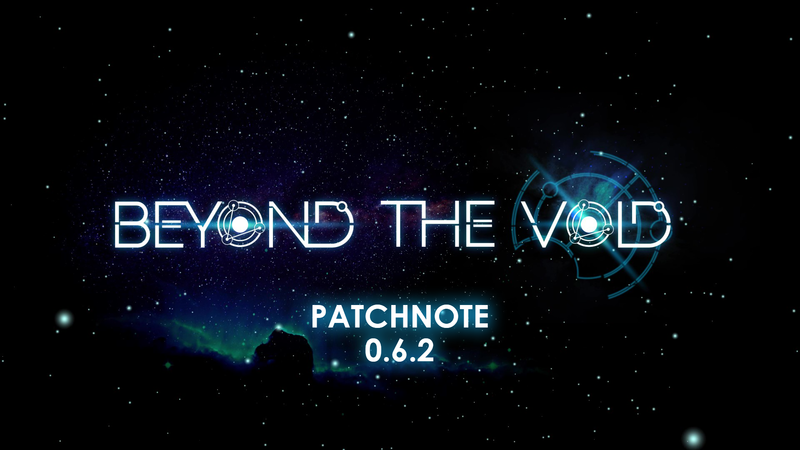 Don’t hesitate to tell us how you feel about this new version of Beyond the Void on our discord server (discord.me/btv). We are excited to present our success from last year and how it will impact 2018 to be our most groundbreaking year for Beyond the Void (BTV) and the B2Expand Team. 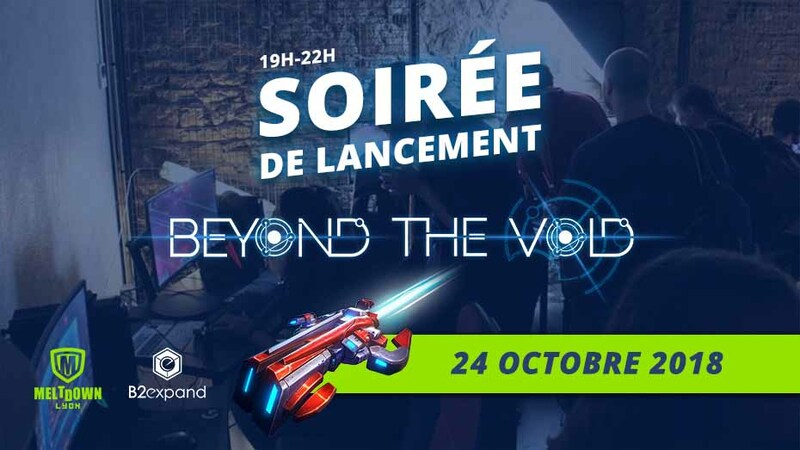 Last year, Beyond the Void Game was the first project in France to be financed through an Initial Coin Offering (ICO). Since then, ICOs have become a more generalized way to launch projects and we are thankful for our supporters who have been with us since the beginning. Our goal is to be the industry leader for blockchain in gaming and look forward to working with other video game developers who want to utilize this model. At the end of October 2017, BTV launched into early access on Steam. To date it has now been downloaded and played by almost 20,000 users. Player feedback through this limited-access period has provided us with useful details that will ultimately impact the final version of our game. QUARTER 1: We’ve brought on a Community Manager, Etienne, who is and will be working within our Discord community and assisting with social media. We’ll also be publishing a new website, improve the positioning of our Reddit community, and increase engagement over all our social media channels. Expect a finalized gameplay update by the end of March 2018. QUARTER 2: The in-game user interface (UI) will feature an improved design that better suits the atmosphere of the game. Look forward to the addition of features for both Broadcasters and Spectators for Beyond the Void tournaments. Stay up to date on our media channels as we tease development progress for new ships, skills, and more! 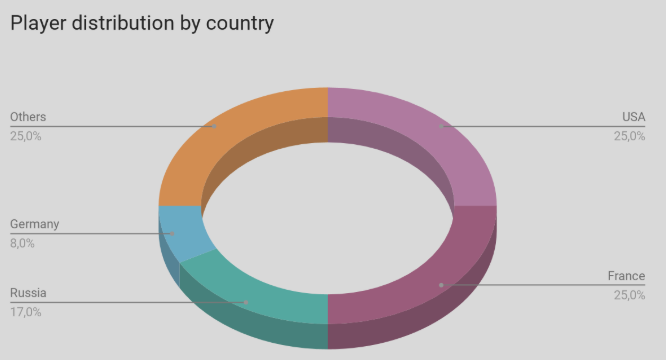 QUARTER 3: Community growth is going to be a major focus as we introduce more content to the game, balance it as a next major esport, and host official Beyond the Void tournaments through our network. QUARTER 4: We’re bringing back & improving our holiday events from 2018 along with continued balancing of game mechanics, releasing new skins to the shop, and new units to the game. From here we’ll announce the official release date and come out of Early Access! As we develop and launch our campaigns, we will be adapting to the needs of our community while working within prominent community figures in both the gaming and blockchain space. Our ideas will evolve over time, as will deadlines; expect the most up to date communication from us on social media. One year ago, B2Expand was only the Beyond the Void Game project, developed by a family team of just 4 people. 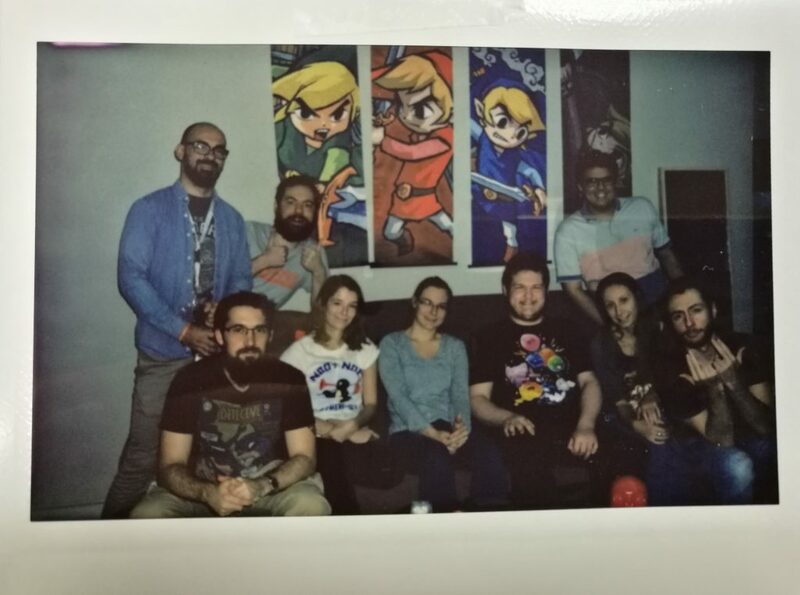 Our start-up team has now grown to 17 individuals, working on projects related to gaming and blockchain. While we can’t share too much, we can tease that there is a new blockchain based game in development within the Sci-Fi genre and that it will have cross-gaming items with Beyond the Void and other Nexarium ecosystem titles. The B2expand Team would like to take the opportunity to give a special thank to everyone in the community helping make our first game project possible. We’re excited to publish to our next endeavor in the space and it’s thanks to your support that it’s all been possible. BTV is in Early Access and our efforts working with engaged community members will help us increase our player growth and improve our game together this year. We look forward to seeing you Beyond the Void!